The last surviving female pilot who flew in the Second World War has died at the age of 101. Mary Ellis known as the Spitfire girl, has died at her home on the Isle of Wight on Tuesday, according to the Air Transport Auxiliary Association. The much-loved aviator joined the Air Transport Auxiliary (ATA) in 1941 after hearing an advertisement for women pilots on BBC radio. She spent the war delivering Spitfires and Wellington bombers for the front line. Mary flew 76 different types of planes through the war and had delivered more than 1,000 aircraft by its end. 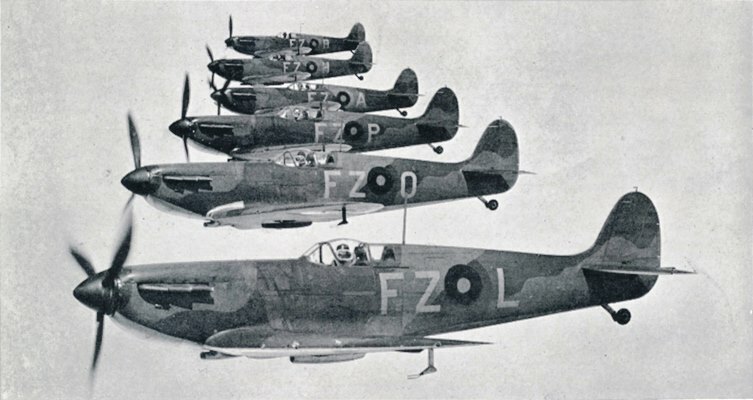 Roughly 400 of those were Spitfires. Over the course of the war, 150 women flew with the ATA, which performed a ferry service, delivering new planes from factories to RAF units and transporting planes back for repairs. This was a vital and often dangerous role, carried out without radio contact and in all weathers. Failing to deliver could have damaged Britain’s attack capacity. "I love it, it's everybody's favourite," she said. "I think it's a symbol of freedom." Mary had been active until very recently – including a visit to Number 10 Downing Street in May this year where she joined an RAF100 reception hosted by the Prime Minister. RAF cadets formed a guard of honour as Mary left Number 10. She also attended the London premiere of the film “Spitfires” only 2 weeks ago where she received a standing ovation. Mary was the Commodore of the ATA Association and was 1 of 2 last surviving UK female ATA pilots, the other being Eleanor Wadsworth.